When a natural disaster strikes, the damage or loss to personal property can be financially and emotionally devastating. In the last year alone, flooding, bushfires, cyclones and severe storms caused minor to severe damage to many Australian homes, contents, cars and businesses. Insurance cannot provide complete protection against natural disasters occurring but it can provide financial security and peace of mind and the potential for a quicker recovery. The Australian general insurance market is highly competitive and offers a wide range of products. Prioritise Safety of Yourself and Others – Listen to the advice and direction from emergency services in relation to your home or vehicle. Ensure that yourself and others are out of immediate danger. Take Steps to Prevent Further Loss – If it’s safe to do so, ensure that you take immediate steps to prevent any further loss or damage to your property. Take steps to secure or mitigate any further damage, remove debris or hazardous material. Contact your Insurer – Contact your insurer or insurance broker to make a claim as soon as practical. If you’re unsure of who your insurance provider is, or cannot retrieve your policy documents you can contact the Insurance Council of Australia who can assist you to find your details. Make a list of what has been damaged or lost – This list helps insurance assessors and the insurance company to understand the value of your claim and may help to speed up the claim process. Try to be as thorough as possible. Meet with an Insurance Assessor – most claims will require assessment by an independent insurance assessor who will examine the circumstances and loss and report back to the insurance company regarding the nature of the claim. 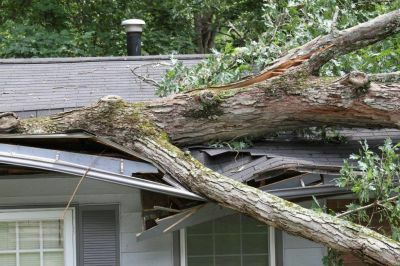 In some instances engineers, tradespeople and other experts may be called in to assess damage. Arrange and Receive Quotes – In most cases the insurance company will organise with their preferred tradespeople to provide quotes for the repair of your property but in some cases you may be required to arrange your own quotes to submit to the insurer. Finalise the Claim – The insurer will agree on a quote and start date for the repairs to take place. Insurers will typically prioritise claims, so depending on the size and scale of the disaster and availability of tradespeople, a claim process may take some time. In some situations insurers may offer cash settlement instead of repair or replacement of property. The specific policy wording will determine new for old replacement, cash settlement and other benefits that apply to your situation. These tips are designed to assist you in making a claim and understanding what a typical insurance claim process may look like, to avoid the financial skids in the event that you do need to make a claim on your policy it pays to clarify with your insurer as to their individual claims process and specific requirements. Another tip is to itemise all of your belongings before a disaster, if they are not already specified on your insurance policy. You might want to keep a copy of this at another location or in the cloud.